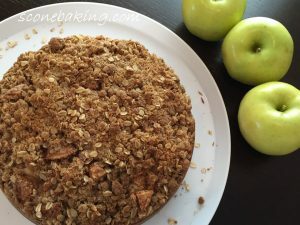 I love the apple and cinnamon combination in an Apple Crumble, especially the crumble topping. 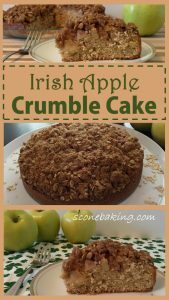 This year, for my St. Patrick’s Day dinner of Corned Beef and Cabbage, I wanted to make Apple Crumble with a twist. 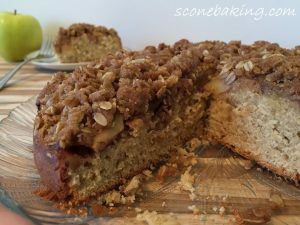 So, I decided to make an Irish Apple Crumble Cake. 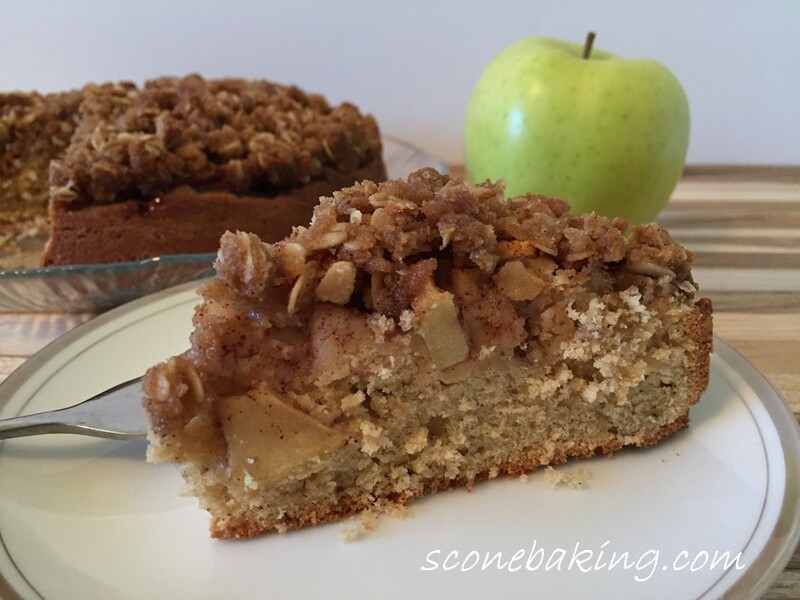 This delicious cake has all the wonderful flavors of an Apple Crumble. 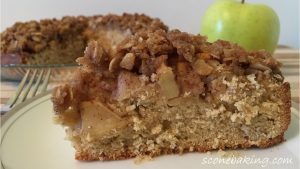 There is apples and cinnamon in the cake. 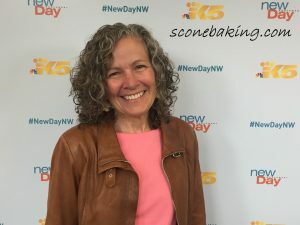 I topped the cake with sliced apples that are covered in cinnamon and nutmeg, and then I added a brown sugar, oatmeal, cinnamon, and nutmeg crumble topping. 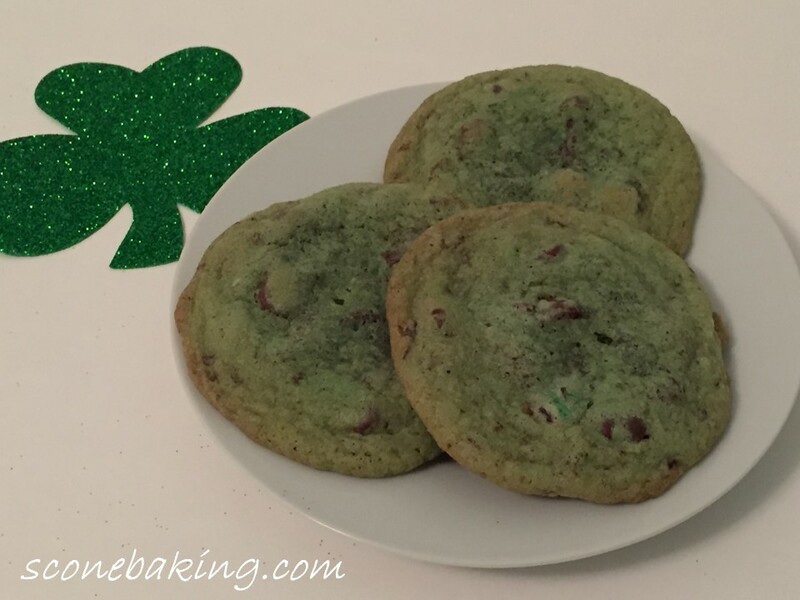 This cake is the perfect dessert anytime of the year, or for your special St. Patrick’s Day dinner. Click on the link below for my YouTube video demonstrating how easy this cake is to make. Preheat the oven to 350ºF. Grease sides and line bottom with parchment paper of a 9″ springform cake pan. In a stand mixer cream together butter and 3/4 cup light brown sugar on medium speed for 3-5 minutes, until light and fluffy. On medium-low speed add eggs one at a time until completely incorporated. 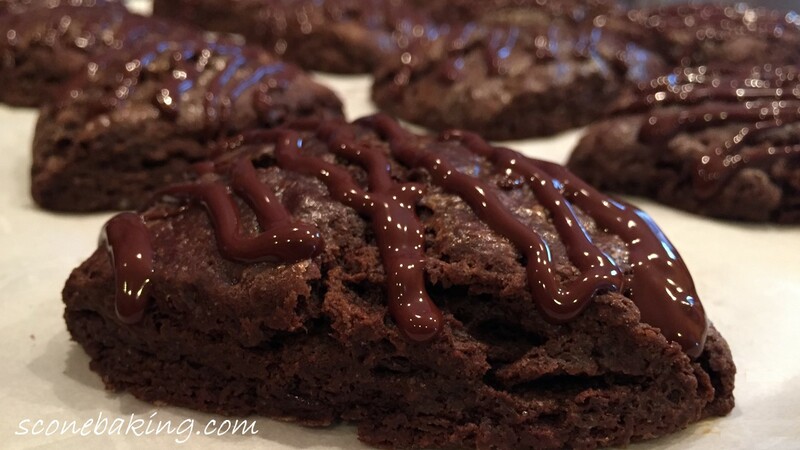 In a medium bowl combine 1-2/3 cups unbleached flour, whole wheat pastry flour, baking powder and salt; set aside. In a small bowl, combine 1 tsp. cinnamon and 1 tsp. nutmeg; set aside. Grate 1/2 apple that has been peeled and cored. In a medium bowl combine grated apple and 1 tsp. of cinnamon-nutmeg mixture; add to flour mixture, stirring until all the shredded apple is covered with the flour mixture. Add 1/3 of flour-apple mixture to creamed butter-sugar mixture, mixing on medium-low speed until incorporated. Add 1/2 of the milk, mixing on medium-low speed until incorporated. Repeat, ending with the flour-apple mixture. Pour into prepared springform cake pan, using an offset spatula to spread evenly in pan. Thinly slice remaining 1-1/2 apples. In a medium bowl, combine sliced apples and 1 tsp. cinnamon-nutmeg mixture. Sprinkle evenly on cake batter. In a medium bowl, combine 2/3 cup light brown sugar, 1/2 cup unbleached flour, oats, 1/2 tsp. cinnamon, 1/2 tsp. nutmeg; add melted butter. Sprinkle evenly on sliced apples in springform cake pan. Bake at 350ºF for 50-60 minutes, until skewer inserted into the center comes out clean, or the internal temperature is 205ºF. to 209ºF. Place on cooling rack, cool for 10 minutes, then remove sides of the springform pan. Let cool completely. Click on the link below for my YouTube video demonstrating how easy this delicious cake is to make.